They are one of the highest natural sources of the plant based Omega-3 EFA’s as well as full of Vitamins A, B12 & C and minerals which include potassium, phosphorous, folate, zinc, iron, and calcium. 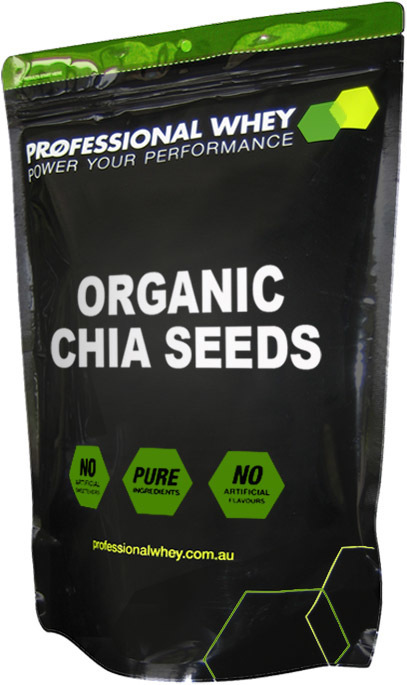 Chia Seeds also provides bowel-regulating soluble and insoluble fibre. Being a wholegrain Chia actually has approximately 8 times more Omega-3 than salmon, but unlike other sources of Omega-3, Chia Seeds are highly stable due to their powerful naturally occurring antioxidants. Chia seeds have been used for centuries as a staple food by many cultures including the Incan, Mayan and Aztecs. In the Mayan language Chia translates into English as the word strength. Available in 1kg packs and bulk buy discounts. 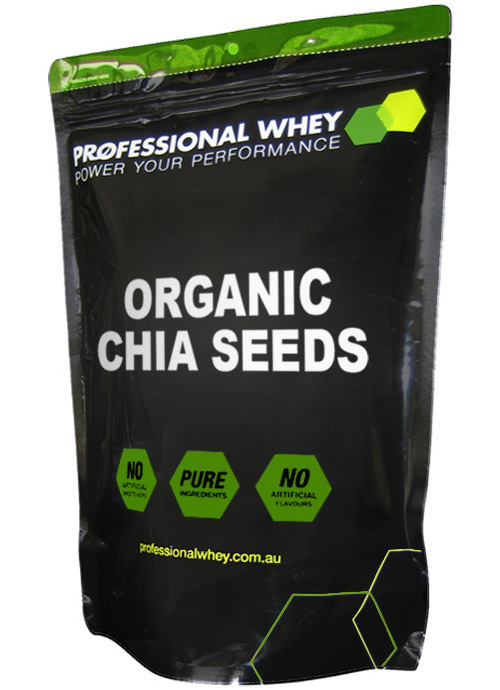 Sprinkle Organic Chia Seeds on salads, sliced fruit, stir fry’s, oats, yoghurt, muesli or grind them into your protein shake. I make chia pudding 5 x a week as my morning tea. The fibre from the Chia makes it a healthy and delicious snack. The price and quality of these chia seeds are great - about 75% cheaper buying in bulk!!!! I make bread called, "The Life Changing Loaf of Bread," from Sarah Britton's Blog, 'My New Roots' It requires chia seeds amongst other seeds and nuts. It is amazing bread when made twice baked. If you go to all the effort to make healthy food, why would you bother with food from an unknown source? This is a fantastic product. Fresh seeds. Use them on some yoghurt for breakfast. They are great for your heart, blood pressure, you can add them to anything really. Definitely recommend these seeds for the price & health benefits! A little seed with a huge amount of nutrition. We are finding it so easy to incorporate this superfood to our diet; shakes, protein balls and morning muesli. I personally like to add it to my protein shakes so that when I add the super berry powders I am slowing down the fructose spike by adding this seed, as it is a fibre, as well as containing omegas and proteins - therefore, it is a change from LSA. (Faster if you are in a rush and don't have time to freshly blend your LSA). It doesn't have a taste really so it doesn't spoil the flavour or overpower the taste of other foods. It is an unsung hero I think; understated as you don't really notice it in foods, but the nutritional aspects will be extremely noticeable. So it is reeeeeeally easy to add to the diet. Glad we purchased them, and have just purchased a second batch. This little seed is amazing! So good for you and adds a unique flavour to baking, breakfast and even yoghurt! I grind mine up in a little blender; it lasts longer less gets wasted. Must try! Organic Chia seeds are the ultimate boost to your morning shake or museli or yoghurt! I utilise Chia Seeds in all my baking especially protein bars, protein museli, protein shakes-for it's a powerful little antioxidant full of flavour!